Re-Uz Foldable Carrier - ‘Parisian Cats' design. Part of the fashionable and functional Re-Uz foldable shopping bag range. The lightweight, water-resistant, wipe-clean material allows this carrier to be used in all weathers. 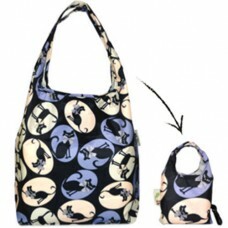 It's stylish and compact designs allows this carrier to fit neatly into your handbag or suitcase. 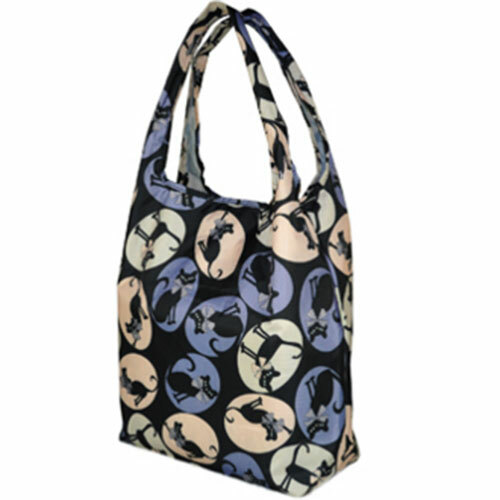 Great for shopping, or a perfect holiday bag (folds out for your swimwear - or duty free shopping!). It also has an inside pocket for your mobile phone or keys. When folded up, the pouch has a clip which can be clipped to your handbag. Say goodbye to bulky bags, this is small when you don’t need it and large when you do! Ultra lightweight, folds into it’s own small pouch. Can be carried over your shoulder or by its handles. Inside pocket for your mobile phone or keys. Has a multitude of uses including as a shopping, holiday, sports or gym bag. The pouch features a clip that can be clipped onto your hand bag.